Marc Roethel has over 7 years experience in the life and health insurance and retirement planning industries. He is CEO and co-founder of the LIFE1010™ program, which is designed to help individuals through a step-by-step process of getting their lives and businesses in order. The program focuses on emergency preparedness, creating an effective spending plan, health and wellness, and retirement planning. He is also co-author of the book "Not Yo Mama's Retirement Plan", which takes a fun and easy to understand approach to a risk-free and tax-free solution to retirement that is proven and mostly unknown by the majority of the population. Marc takes great pride in helping individuals and businesses get prepared to be successful, financially solvent, and on track for a prosperous future just by making a few small changes to what they are doing in the present. He really enjoys working with people one-on-one and helping to find solutions to some of the concerns that keep people up at night. Marc lives in Millcreek, Utah, and enjoys playing soccer, working out, travelling, and pretty much any outdoor activity. He is married to Kelli Roethel, (who helps him out tremendously in the business! ), and has two wonderful children, MaKayla and Cru. Kelli Roethel has 5 years experience in the Health insurance industry as a Cobra specialist. She is co-owner, co-founder and Manager of the Life1010™ program, which is designed to help individuals through a step-by-step process of getting their lives and businesses in order. The program focuses on emergency preparedness, creating an effective spending plan, health and wellness, and retirement planning. She has helped the business in creative aspects of social media and event planning. Kelli as a part time stay at home mom enjoys helping others get their lives organized. Loves the joy of watching others realize how important it is to be prepared for life’s crazy ups and downs. 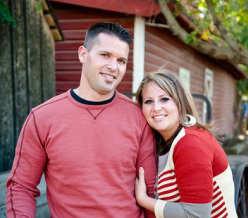 Kelli lives in Millcreek, Utah with her husband Marc Roethel and 2 children MaKayla, and Cru. She loves to dance, read, travel and play. She loves life to the fullest and tries to enjoy each day. Ed Kinsey is the co-founder of LIFE 1010™, the online life-coaching program that helps you get PREPARED FOR LIFE™ and the co-author of the book "Not Yo Mama's Retirement Plan". His expertise is in the tax and retirement planning arena, especially for small business owners (He believes it’s time we started running our personal finances like a thriving business would). He is a business management graduate of Brigham Young University with an emphasis in finance (He also played football there, but was just a small, slow, white boy, aka, practice dummy). From life and health insurance, disability and accident insurance and homeowner’s insurance planning to budgeting and money saving tips and techniques with everything from cell phone service to vacations, Ed takes a well-rounded approach to life and business planning. Amongst his specialties are tax-free retirement programs to maximize wealth, safe money strategies to ensure his clients have a lifetime of income, and customized health insurance designs. Ed is well respected by his clients for providing excellent service, accurate responses to questions and concerns, and tailored solutions for each circumstance. His patience and outside-the-box perspective (and his stunning good looks, according to Ed) allow him to work through unique situations for optimal solutions with his clients. In his spare time, Ed trains and competes as a nationally ranked drug free powerlifter (he literally squats over 900 lbs and benches over 600 lbs. That’s strong for an insurance salesman. ), sits as the current UPA state co-chairman and enjoys coaching others on their diet and exercise programs. He also enjoys serving in his local church youth program, hunting, fishing, and most especially spending time with his family. De Kinsey is the co-owner/manager of LIFE 1010™. She worked as a licensed residential and commercial escrow officer for over 5 years. This experience helped her learn how to analyze and understand legal documents and translate them in a way the general public could understand. After working as an escrow officer she was hired by Freddie Mac, Fannie Mae, and Wells Fargo Financial to help with their REO properties. She would help the people managing the properties know exactly what they needed to do with the properties. She did this by analyzing the legal documents from these large corporations and then turn them into a checklist form document in which the property managers could easily understand and follow. As you might tell, De is a checklist woman and everything has to have a place. In LIFE 1010™ she primary works with analyzing the necessary documents and tasks we all have in LIFE and orchestrates them together in a way people can accomplish/understand the documents in small steps. De Graduated from Utah Valley University in Psychology and in Community Health Science. She understands how a person’s psyche and personal health can have positive and/or negative impact on their LIFE and financial well being. She brings this knowledge into the LIFE 1010™ program.